We have finally been able to get going on this new build following the severely bad weather we’ve had over the past few months. This new build is now heading in the right direction after the beast from the east stalling us. 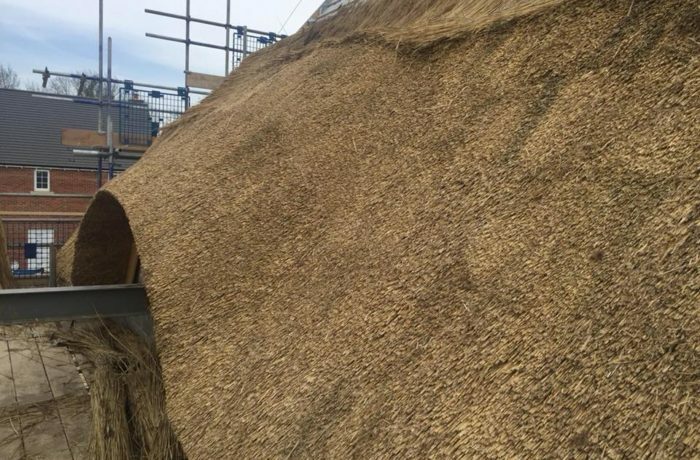 No matter what the Great British weather throws at us, our skilled Thatchers work hard to get each thatching job finished. When heavy snow and ice hit, our main concern is safety, with roads becoming congested and extremely dangerous to travel down. 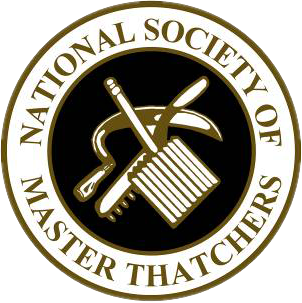 Our friendly team of Thatchers work tirelessly all year round in all weathers; however, when the Beast from the East struck (almost twice) it did stall us with our major re-thatches and larger jobs. So catching up on these jobs was a task but we are making progress with minimal disruption. A thatched roof will need a full re-thatch every 20 years or so, this time depends on the type of straw thatch you have of your roof. 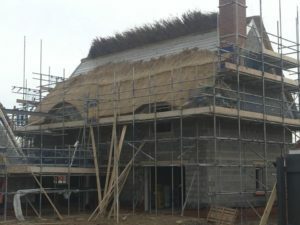 With Thatching on New Builds we have some sense of freedom when it comes to thatching, starting from scratch we use brand new materials and ensure everything is in place to last for the next 20 years. For more information on any of our thatching services, whether that’s small thatch repairs or moss removal, please don’t hesitate to get in touch.